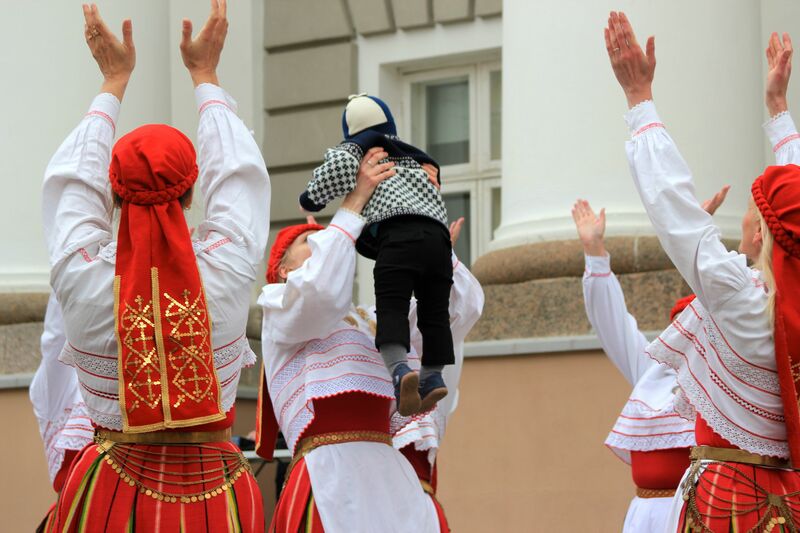 Estonia has a long tradition of holding public song festivals, which started during the national awakening at the end of the 19th century. 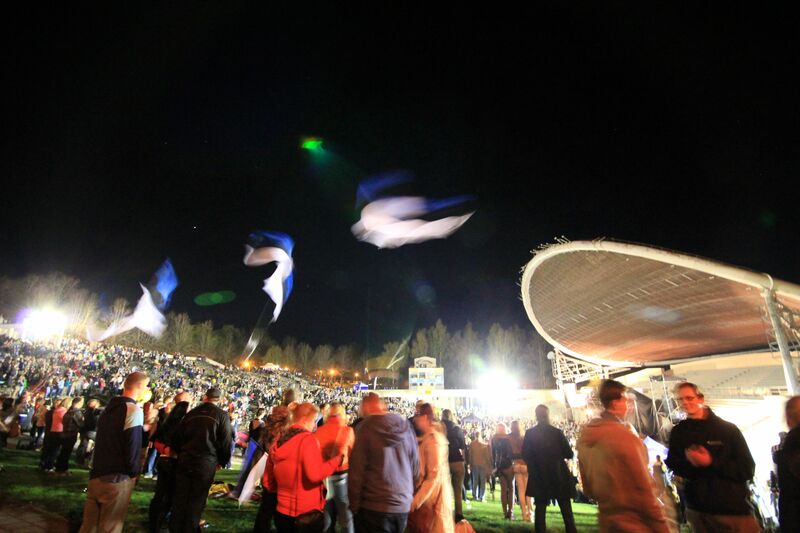 The main song festival takes place every five years and there is one this summer. 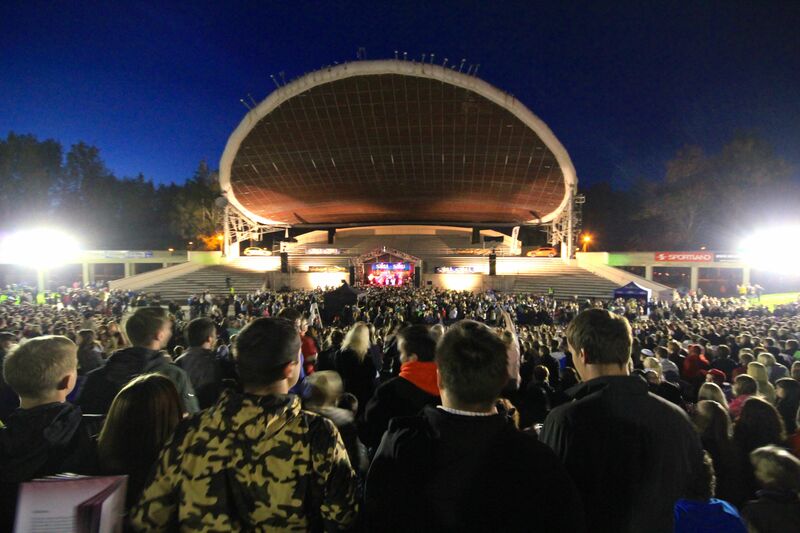 However, as the first song festival was held in Tartu in 1869, a mini song festival is organised here every year. 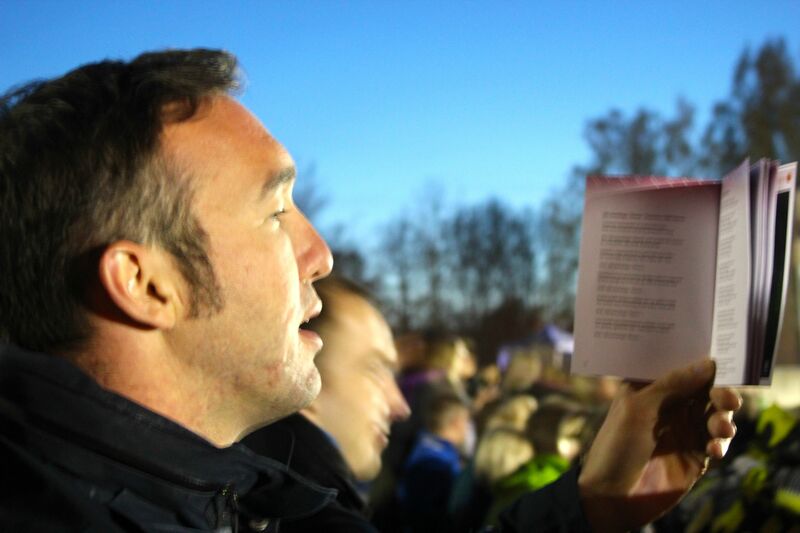 The event takes place in the evening and people sing well into the night, hence its name. The night song festival is a lot more light hearted and somewhat less patriotic than the main song festival. It is also a lot less powerful as the main attraction – a 30,000 singer choir – is missing. We are planning to go to the main song festival in Tallinn this summer, so this was good practice. 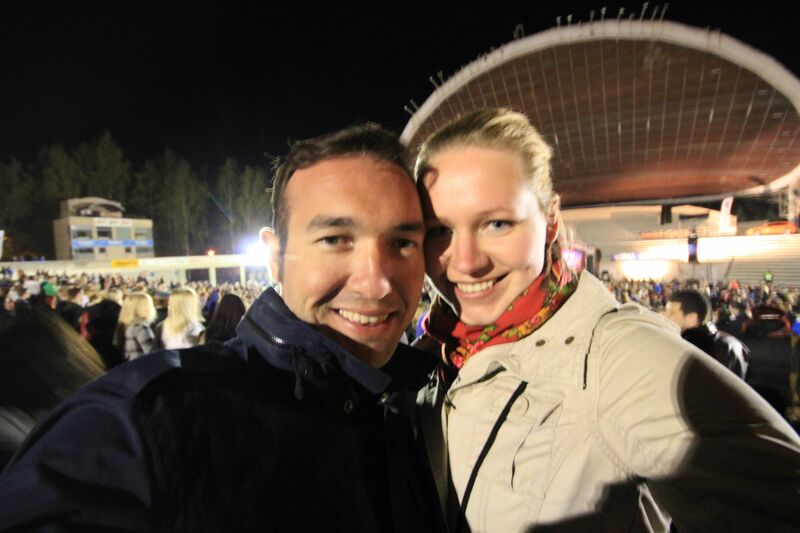 Especially for David, who is becoming quite a patriotic Estonian…at least by judging from his singing. Whether or not he understood all the things he sang about the Estonian fatherland and burning the German slave masters is another business. 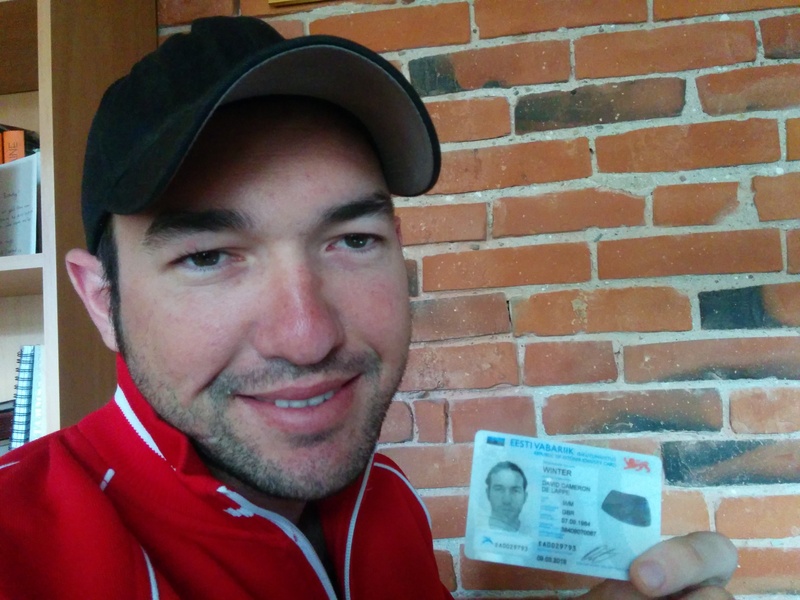 Since we like to be legal, David now has an Estonian ID card, which gives him access to all of our famous online services, including voting, medicine prescriptions and information about all of David’s history with Estonia. 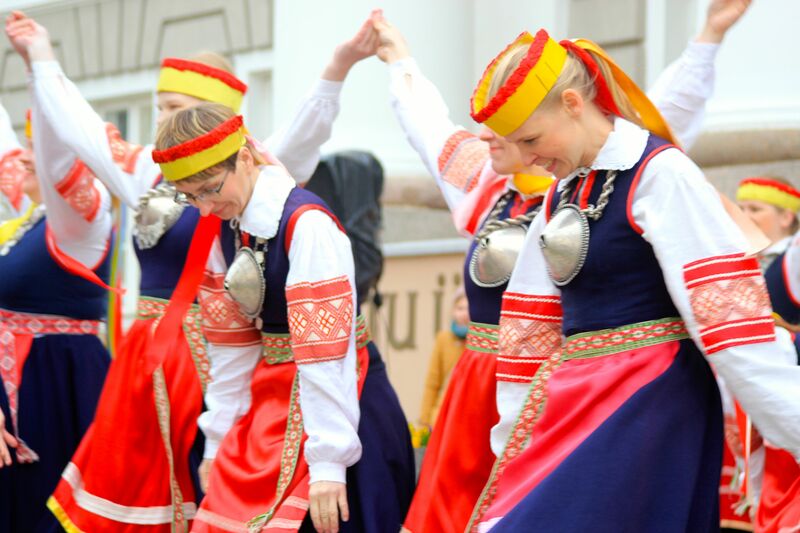 As we were walking back from the gym we saw a few women’s folk dance groups dancing outside the university building. I was sad to see how few spectators they got. 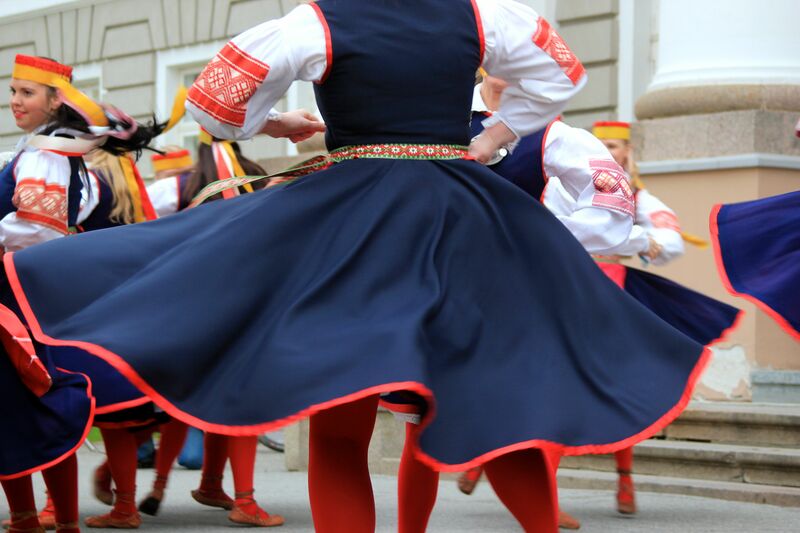 The diversity of costumes and dances really is remarkable considering the size of Estonia. 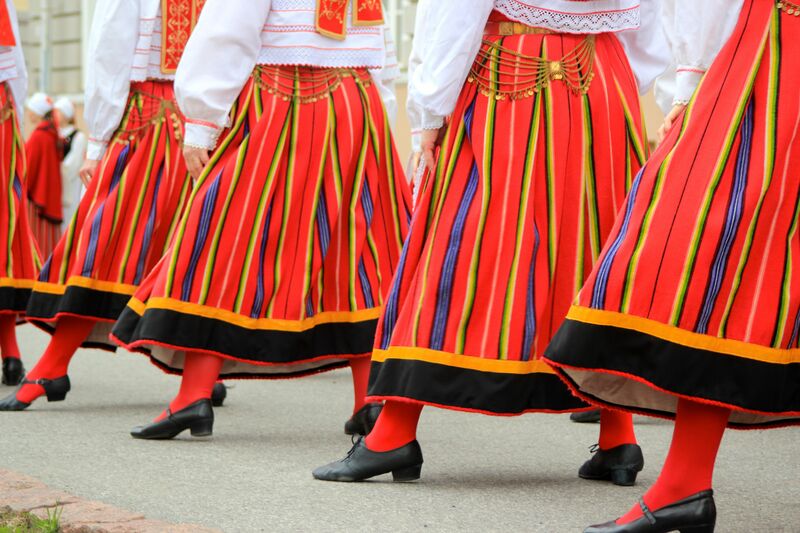 Every country, village and town have their own colours, patterns, hats, shoes and jewellery. When people actually wore these outfits on special occasions they should have understood by looking at each other where they came from exactly. All the dances and songs that go with them tell a story. The stories are often about finding a good husband or wife or about village life. 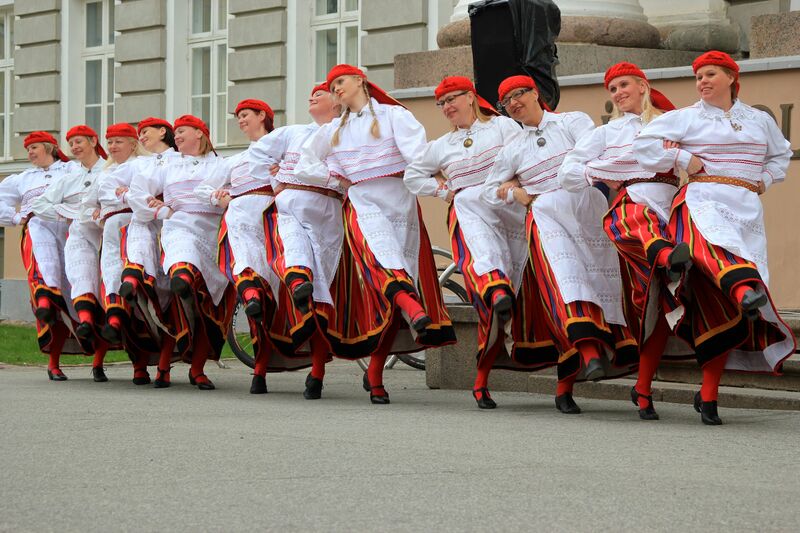 My aim for the next week is to find one of these dance groups and join it. 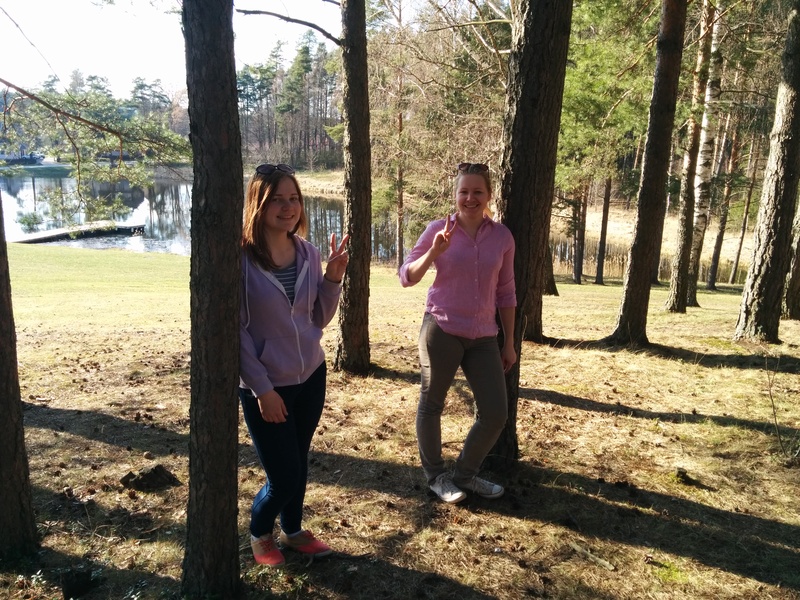 We’ve been spending most of our weekends in Võru. We’ve had such nice weather that it seems a shame to stay in our flat while we could spend time in the Võru countryside having braais and spending time outside building shelves. Yes, we built two shelves. One of which is made from an old box used to buy chickens. Because everyone just has old chicken buying boxes lying around. When we take a break from shelf building we like to go in the woods. Last weekend, after a modest birthday celebration, I awoke with a banging headache to the sounds of shooting and men yelling outside our gate. 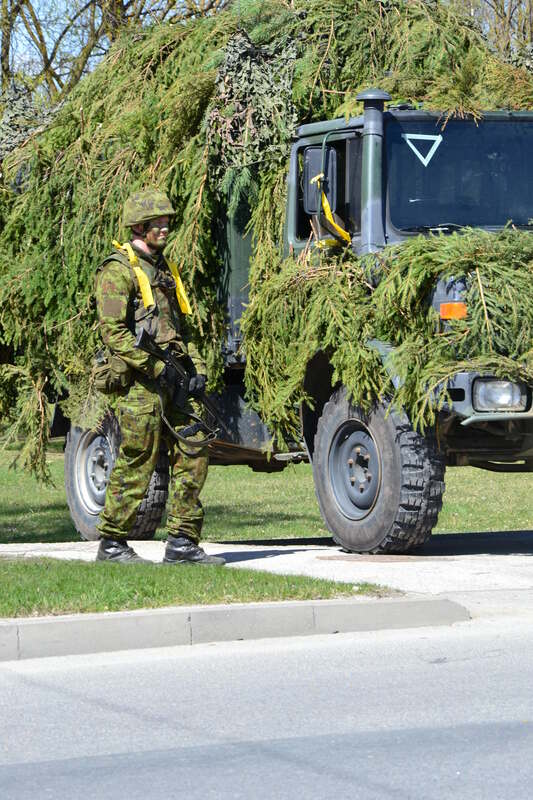 Võru was at war for the day. 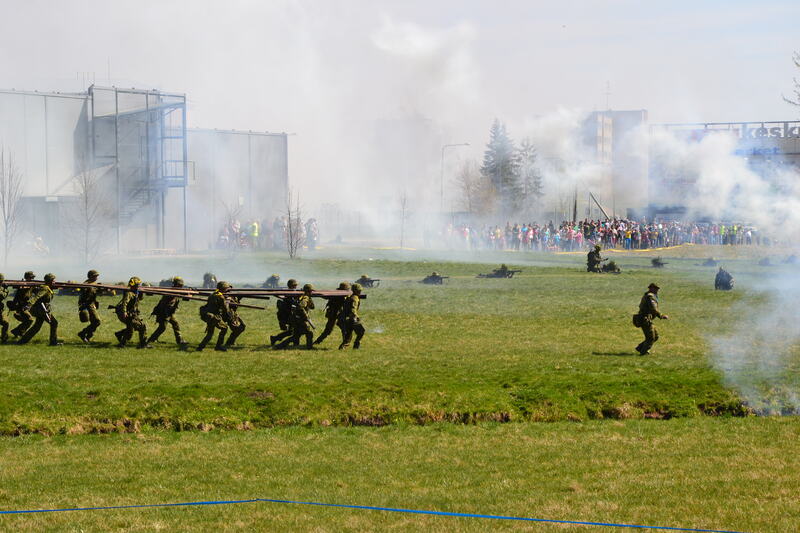 This was a military drill carried out in Võru every year. 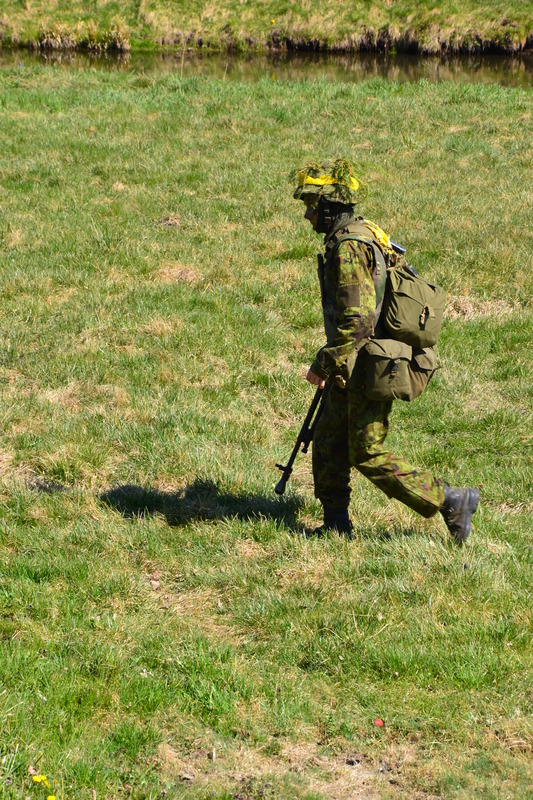 Military service is compulsory for all men in Estonia and lasts for 11 months. Võru has one of the big military bases/training schools where guys come from all across the country in order to become tough soldiers. 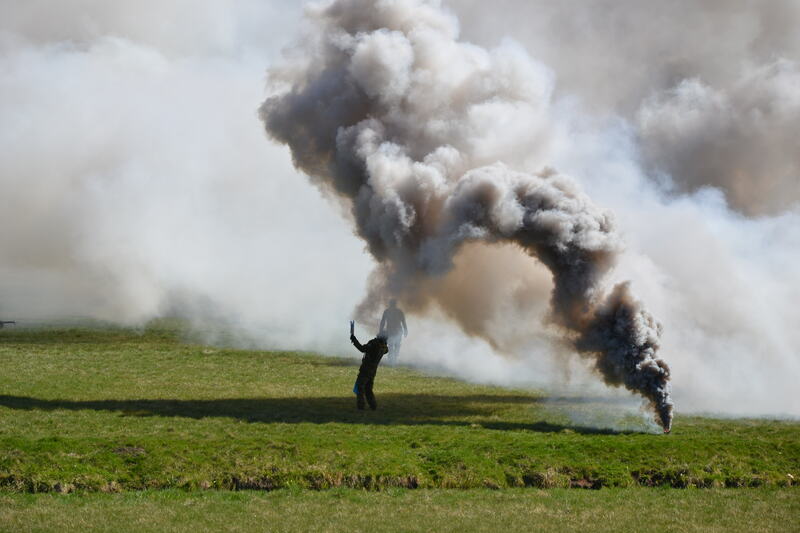 So they hold a practice war event where they demonstrate what they have learned to the public. There were fake bombs, mines, smoke, blanks shot and military machinery took over the town. Some elderly people who had actually gone through war stopped and looked extremely unhappy. This must bring back painful memories for them every year. I am not sure they feel reassured by this sort of exercise. Little kids, including myself, thoroughly enjoyed the show. I just consider myself lucky to be able to ‘watch war’ and then be able to go home safely. My grandma made sült and I thought I should tell you about it. 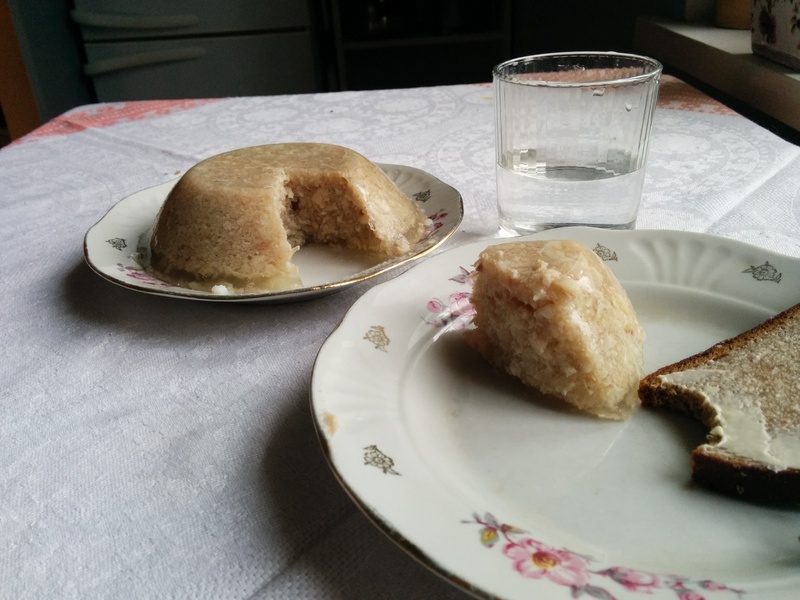 Sült is a meat jelly made by boiling pig’s head and feet and adding some meat to it. The head and feet contain so much gelatinous substance that it becomes jelly. We put it in bowls to set and then eat it with very strong vinegar, which needs to be diluted with water or else it will burn your intestines. Sült is traditionally a wedding food, so when you tell a couple who is not married that you feel like some sült they should get the hint and get married. I love sült, but David is not ready for it yet. And finally, snow is predicted for Tuesday. Congratulations to us. 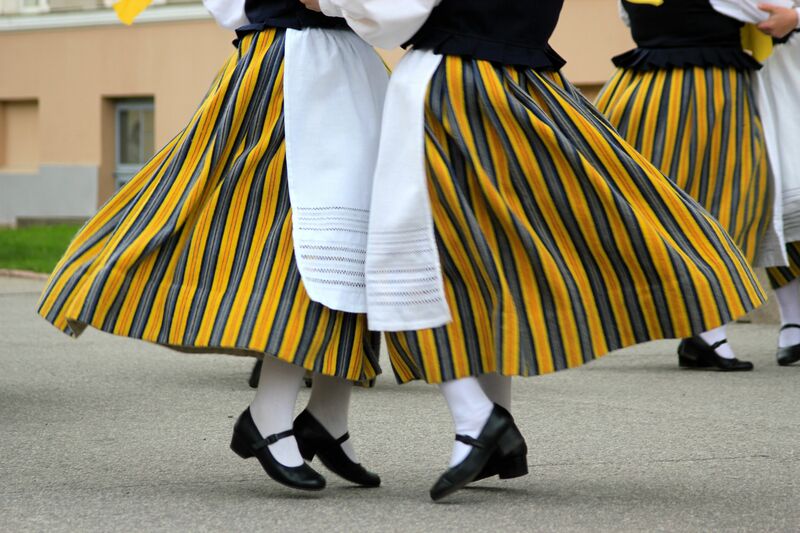 Posted in Estonia, PlacesTagged öölaulupidu, Estonia, estonian folk dancing, Estonian food, Estonian song festival, laulupidu, military, military drill, sült, song festival, Tartu, traditional estonian costume, VõruBookmark the permalink. The ongoing saga of your life and adventures continues to delight and inform me, thank you. 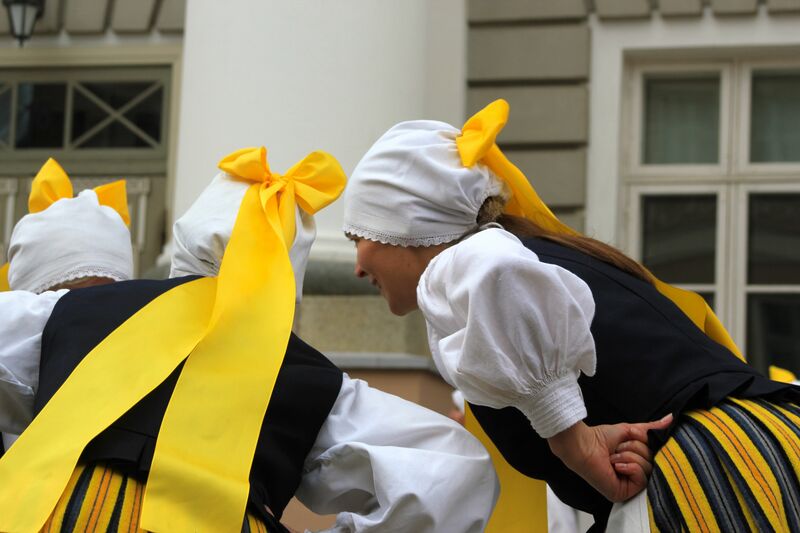 How are you getting on with finding a dance group Kati and are there no such groups for men like morris dancers? 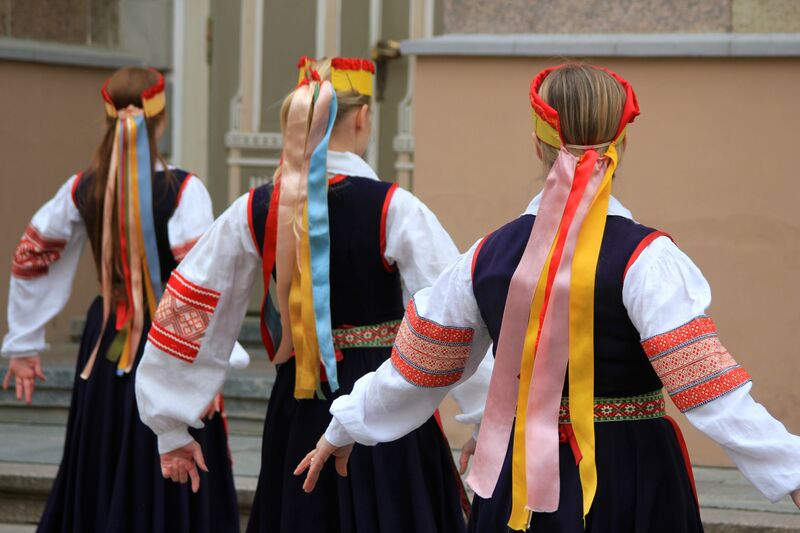 The song festival sounds amazing and especially how it began, singing as a way of protest should be adopted all over the world especially Ukraine right now! The stories of the Russian invasion and your family history were very moving, how are you getting on with your research? And what of your work are you enjoying that or is it merely a means to an end? I have just got back from a week with my Family, lovely! Helena is now 6 months and blooming whilst Ruby and Jonah continue to be such fun. They were all here at Easter when I got a new flock of chickens which they named. They are Storm trooper, Darth Vader, Luke Starwalker (!) Bell and Rainbow, guess which of them named them! We also built a Minibeast Hotel and they began to do paintings on the bar wall, meanwhile the grass sofa is looking great. I am well and enjoying Little Fishes and Big Kitchen, today Sandy and I do the bible club at her old school. We are in for a heat wave this weekend, spring has really sprung, many of my flowers are out early and the bees are very busy. We looked at them yesterday and they are a particularly angry lot but there was honey being made so that is ok.
Are you planning to come over this year it would be good to see you. Or how practical is it for me to come there just a passing thought on my part? Maybe we could skype sometime?